I’m sure you’ve heard the advice before – to get more email subscribers, you have to keep producing fresh content continuously. Because you see, there is another way to increase email list signups – by analyzing your visitors’ behavior, and identifying and fixing popular but underperforming content. And in this post, I’ll show you exactly how to do that. 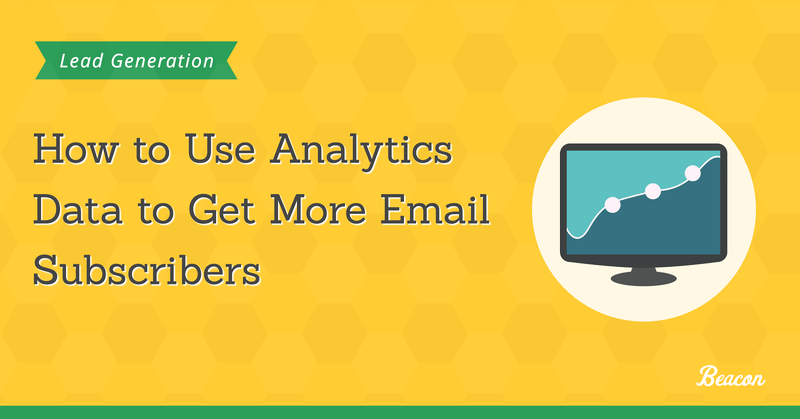 You’ll learn how to use the Analytics data to get more email subscribers and boost your lead capture form conversions. Intrigued? Let’s not waste any more time then. For the purpose of this guide, I’m going to assume that you already have Google Analytics installed on your site and that you have acquired at least 6 months of data. If you have more, well, that’s even better. Ideally, you should also have Google Analytics integrated with the Google Search Console to be able to analyze search queries bringing visitors to your site. First, you need to discover what topics attract new visitors to your site in the first place. And the best way to find that out is by looking at what are the most popular entrance pages on your site. 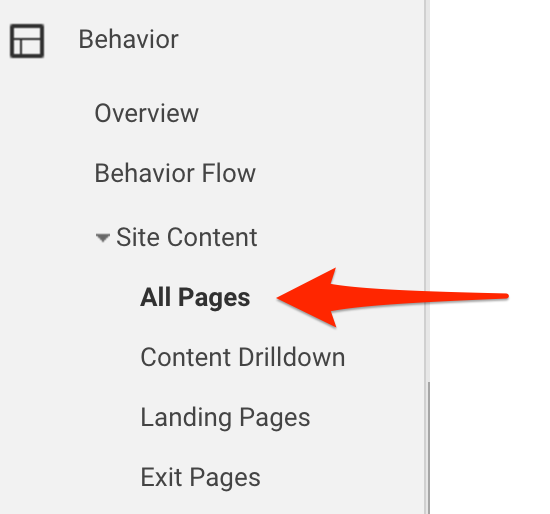 In Google Analytics, go to the Behavior Tab > Site Content > Landing Pages. The report will show you what pages brought the most people to your site for the period you’ve specified. Important: The Landing Pages report doesn’t focus on any particular traffic source. It just lists all pages visitors have landed on your site. 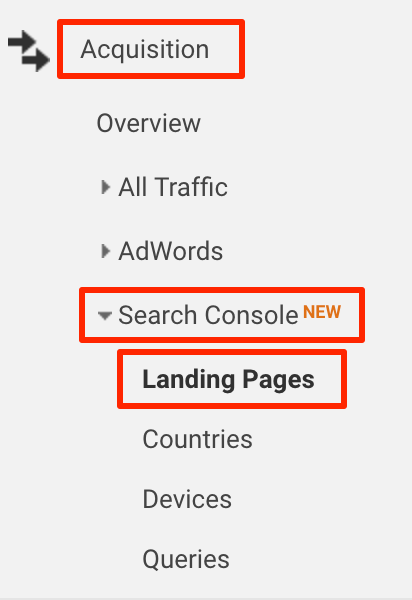 If you wanted to discover what pages attracted visitors from Google, then go to the Acquisition tab > Search Console > Landing Pages. The report looks just like the other Landing Pages report, with the exception that it shows only traffic that arrived at your site from the search engine, and the traffic data comes from Google Search Console, rather than Analytics. Landing Pages report showed you what piece attracted new visitors. But what about content that engaged visitors the most, while they were on the site? You can discover that in the All Pages report, located in the same section as Landing Pages one:. This report lists all the pages that have been viewed on your site during the date range you specified, allowing you to identify your most successful content, and in turn, spot opportunities to launch lead generation strategies there (we’ll talk more about that in a second). Landing Pages and All Pages reports revealed what content attracts people to your site, and what are your most successful pages. Next, you need to assess how visitors engage with that content to identify the biggest opportunities for conversions. To do this, you need to analyze three metrics – the average time visitors spend on a page, and the bounce and exit rate. Avg. Time on Page, as the name suggests, outlines how long visitors spend on a particular page. By looking at this metric, you can discover if people are actually reading your content. Bounce rate outlines if people are willing to engage with your content after they’ve read it. Exit rate, on the other hand, reveals whether your visitors interact with the site after reading the content. It can tell you whether they visit other pages, click on links or just leave the site. Important – when assessing the engagement, you should look at all three metrics together. That’s because visitors engage differently with various types of content – website pages, blog posts, resource lists, etc. From the data, I can see that visitors spend less than a minute interacting with it. And that probably isn’t good, right? First of all, the bounce rate is very low, meaning that people interact with the page, and find it useful. And judging by the exit rate, they click on calls to action, visiting other pages and interacting with the rest of the site. So, when assessing your content, take a more holistic view of the metrics. Instead of focusing on just one point of data, analyze the page in the context of the overall visitor engagement. Your goal for conducting all this research was to look for popular but underperforming content that offers an opportunity for higher conversions. Short average time on page but high bounce or exit rate. Such pages attract a lot of visits but clearly, fail to engage visitors. High average time on page but also high bounce or exit rate. 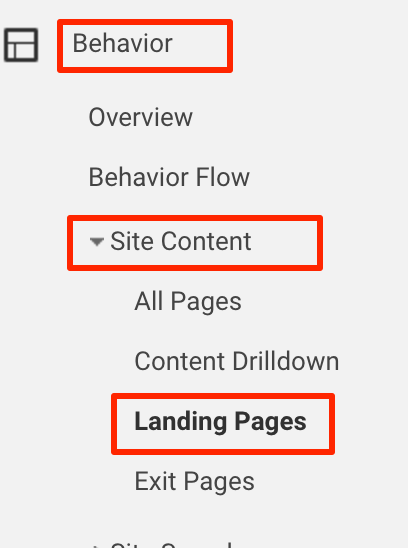 These pages clearly fail to keep visitors reading, suggesting that visitors either don’t find the content engaging OR you fail to provide relevant calls to action to indicate the next action they could take. Pages in which visitors take no further action apart from reading the content. In this case, the exit and bounce rates will be high. Low traffic but high engagement metrics. These pages clearly deliver the content the audience seeks but for some reason, fail to attract more visitors. This could be due to poor SEO optimization, or lack of overall content promotion. In all those cases, making even simple tweaks to the content might result in higher engagement, and conversions. For example. Let’s say that you’ve identified a popular landing page, attracting good traffic but with a high bounce rate. The chances are that by improving or expanding the content, you could increase the number of people actually reading it and get them to see your calls to action. Another example. You’ve identified a popular page, but unfortunately, with a high exit rate. The reason for that might be a lack of any calls to action that prompt visitors to take any other action than to leave. Adding CTAs that point them to additional resources might keep them longer on your site, pushing them closer to the email signup. The key for this exercise is to look for popular but underperforming content, and improve it to increase visitor engagement, and ultimately, conversions.